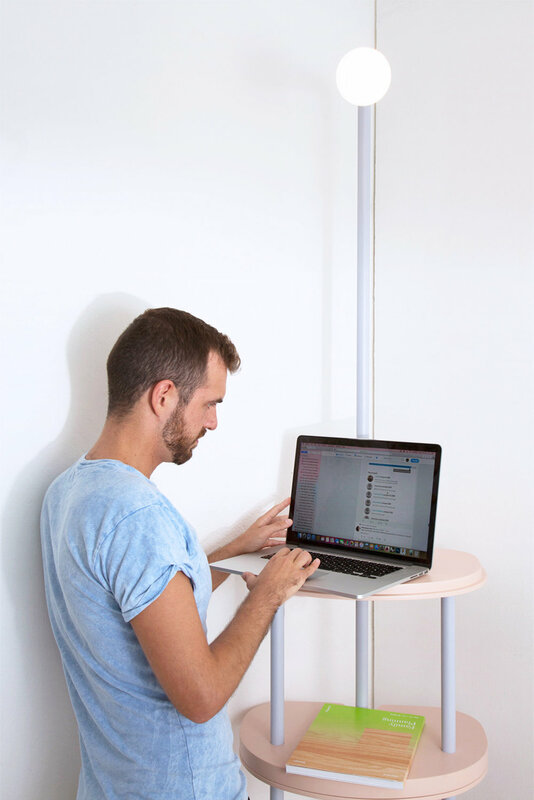 spreading hub is a hybrid of a floor light and stacking stools. The light aims to improve phenomenological qualities of the corridor to make it a desirable place for staying in. The stools can define either a vertical or a horizontal hub. When they are stacked together, they work as a standing table. When they are spread, they offer seats and tables to turn the corridor into a geometry of conviviality.